Meet the Huawei Raven H892L, one of the most advanced entry-level smartphones from Straight Talk. It's a 5.5-inch gadget that comes running Android 4.4 KitKat. A quad-core processor powers it and it's 4G LTE enabled - believe me when I say it offers incredible speeds both in performance and internet browsing. Huawei Raven is a GSM phone activated by AT&T network, so it will work in an area with AT&T cell towers. It's the larger version of a similar prepaid smartphone from Huawei called Huawei Pronto H891L which is only 5-inch in size. I have had my hands on the Huawei Raven H892L, and the experience has been great, including the Straight Talk plans. Read on to find out. Huawei Raven H892L is a prepaid smartphone that you can order from Straight Talk. It comes in a nice Straight Talk box with other accessories. In the box, we have the phone, a wall adapter, standard USB cable, service & reference guides, and activation guides. Huawei Raven H892L is a 5.5-inch device with slightly rounded corners. It has a flat plastic cover. The external layout is quite typical. Power and volume buttons are on one side of the device - the right-hand side. The charging port, as well as your microphone, are located on the bottom part of the display. The headphone jack and the noise cancellation mic are located on the upper part of the phone. On the back, we have the camera with a LED flash. We have your main speaker on the lower side of the back cover. Coming to the front where we have the 5.5-inch display which is pretty large, with a black chrome going around it. The front camera lies on the upper part of the screen and navigation buttons on the lower part of the display. The back button is on the left, the home button at the center and an options menu button sits on the right. Just to point out, the phone has a status indicator light. The design is slick, and I liked how thin the phone is. Huawei Raven H892L boasts of an 8MP back camera and a 2MP front camera. This camera has some of the amazing features you would wish for in a phone. It supports a variety of capture scenarios, such as scenery, portrait, dynamic, panoramic, audio control and burst capture modes. It can also support filters like beauty, and smart. I even found out one fantastic feature - the back camera supports High Dynamic Range (HDR). HDR imaging technology improves details in the lightest and darkest areas of photos for true-to-life quality. What is even more interesting is you can take an audio photo by recording a brief audio clip after you take a photo. I have used most of the camera features on this Huawei Raven H892L and am impressed. Video calling using the front camera is also incredible. The 2MP front camera performs well, and I liked it. Also, if you have been looking to find an affordable phone that shoots 1080p videos, Huawei Raven H892L is that phone. The display on Huawei Raven H892L is marvelous. A 5.5-inch IPS screen with a resolution of 1080 x 1920 pixels is a rare quality to find on an entry-level device. The phone produces sharp colors and bright pictures. Video quality is superb. When it comes to outdoor visibility, the phone performs quite well. I didn't find myself struggling too much to view items on the screen while outside my house. If you love reading documents on your phone, you will find this device to be worth it. Opening up PDF files and other word documents fit comfortably on the 5.5-inch display. Also, worth of a mention is the screen plays high definition videos. I enjoy watching a lot of content on YouTube, and when I switch to high definition on viewing, the screen performs awesomely. If you enjoy YouTube like me, you will love this phone. 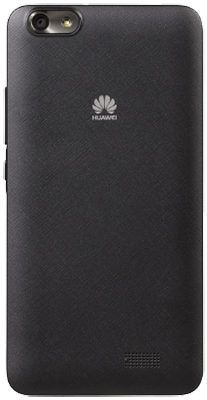 Onboard the Huawei Raven H892L is a battery with a capacity of 3000mAh. Battery life on this gadget is amazing. I stay out working for long, so I always appreciate a phone that can stay on for that long. So far, Huawei Raven hasn't disappointed me. The battery gives the phone a talk time of 12 hours and a standby of up to 16 days. Some of the things that can drain the battery real fast include playing games for extended periods of time. This is not different on the Huawei RavenH892L, though it tries to hold on a little bit longer. When playing games, I had to find a charging outlet in like 5 hours. With typical usage, like making calls, texting, checking emails, a little bit of browsing and social media, the phone goes for a complete day on battery without draining out. Internal storage on the Huawei Raven H892L is 8GB. It’s quite a large storage and can hold lots of music, apps, and videos before the phone complains of ‘low storage remaining.’ Additionally, the phone supports an external MicroSD card of up to 32GB. This is not included in the box, but you can order from your nearest store. With a combination of the internal 8GB plus the external 32GB, that’s quite a large storage space to hold your digital content. Huawei Raven H892L ships with Android 4.4 KitKat. It is powered by a Qualcomm Snapdragon 1.2GHz quad-core processor paired with 1GB of RAM. I found the performance of the device to be incredible. The screen is totally responsive. You can notice smooth animations when switching between apps. One thing that really got my attention is the speed of data transfer. Given that it is 4G LTE enabled, internet speeds are maximum when operating within your Straight Talk wireless data plans. Loading YouTube videos is super-fast, and also the video quality is great. Also, remember it is a 5.5-inch device, so watching videos on the Huawei Raven is something I truly enjoy. Sound quality, I can say, is above average and I had no problem listening to music on loudspeaker. The phone comes installed with most user apps like Gmail, Browser, Map, Drive, Hangouts, YouTube, and Play Music. And of course you can still download hundreds of apps from Google Play Store. On the navigation buttons, the menu navigation button also doubles as the recent apps button. When you long press it, recently launched apps pop up in a tabbed list, bringing in the element of multitasking. Switching between recently launched apps is also super-fast with smooth animations. The phone has a quad-core processor, so there is no issue with performance. The phone includes other connectivity features like proximity sensor, accelerometer, GPS, Bluetooth 4.0, and Wi-Fi. Accelerometer sensor is used to activate functions by tilting or shaking your phone, for example playing the next song in the list when you tilt your phone. GPS facilitates navigation in Google Maps, I actually found the Maps application to be very responsive, and it loaded quickly. 8 MP back camera, 2MP front camera. Battery capacity: 3000mAh. Talk time up to 12 hours, Standby time up to 16 days. Internal memory: 8GB. Supports up to 32GB microSD card (although not included). 6.09'' (H) x 3.06'' (W) x 0.35'' (D) inches. Processor: Qualcomm Quad Core 1.2 GHz.